The killboard recorded 520 ship losses and 3 pod losses, but most of them are just miner drones getting on the Concord mail. I can't tell how many of them are actual kills (when the gank was prevented), let's guess 10%, if you want a more exact figure, go and dig into my killboard and find the losses which aren't paired with ganks. As a Catalysts can be a 3M meta fit or a 10M T2 and fittings are often recovered, let's go with 6M losses. That's 300M from the 50 Catas, + 350M from the three pods (I thought you can't lose pods and went crazy on the second pod, my new pod is much cheaper). 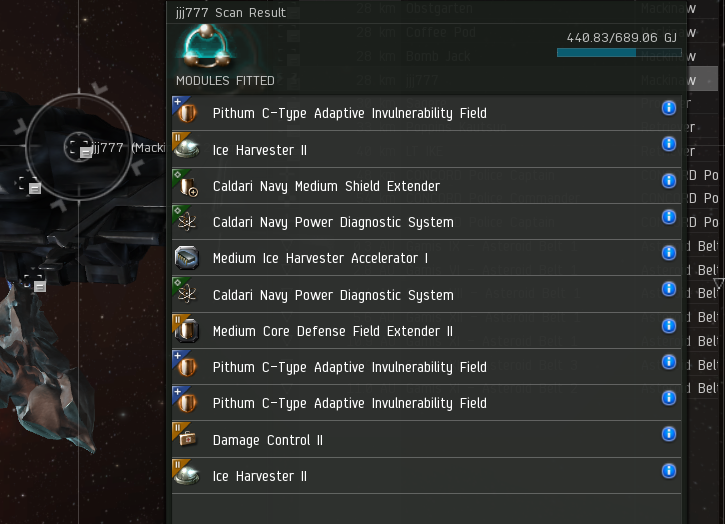 This is 73% ISK efficiency. If I was a hypocrite like most, I could tell that I'm not a ganker, just reinforcing belts to get good fights from the owner. But since I don't give this good fights nonsense, the consensus is I don't know anything about "real PvP". Considering my lack of PvP skills, my solo PvP ISK ratio is pretty high, especially all these kills were against people who willingly engaged me, knowing what I fly and having Concord and faction police on their side. How could I win instead of being massacred by any "real PvP-er" who cared to hunt me? Because they trusted in "skill". Sirlin wrote long ago how scrubs worship the unmeasurable skill: "The scrub has still more crutches. He talks a great deal about skill and how he has skill whereas other players—very much including the ones who beat him flat out—do not have skill. The confusion here is what skill actually is. In Street Fighter, scrubs often cling to combos as a measure of skill. A combo is a sequence of moves that is unblockable if the first move hits. Combos can be very elaborate and very difficult to pull off. But single moves can also take skill, according to the scrub. The dragon punch or uppercut in Street Fighter is performed by holding the joystick toward the opponent, then down, then diagonally down and toward as the player presses a punch button. This movement must be completed within a fraction of a second, and though there is leeway, it must be executed fairly accurately. Ask any scrub and they will tell you that a dragon punch is a skill move.". Actually this magical "skill" is "human effort" or "precision of moves". To catch a Catalyst, you have to camp and then perform the necessary moves fast and accurately. If it's done perfectly, you win. This is how scrubs imagine winning. How play-to-win people do win is simply "getting the results". Once upon a time in EVE there were "elite alliances" which demanded good killboard from their members and were proud of their "skill". They were smashed by F1 pushing self-declared bad players in Drakes. What did these "bad players" have? A doctrine of ships. "Doctrine" can be explained as non-human power source. A typical doctrine ship needs no more "skill" than anchoring up and pressing F1 on the broadcast target. No human perfection needed, the ship does the job by its superior power/ISK ratio. The suicide gank doctrine ship is a Catalyst. It's perfect for it's job, it's easy to fly and most importantly it's very cheap to lose. If we go back to my PvP stats, I lost approximately 50 ships to my enemies and got only 8 kills. Yet I came on top on the measurable objectives because my ship is so cheap. You might say that my kills were inflated by the too expensive pods of the enemy, but that's the very point: they willingly engaged in their expensive pod because they trusted their "skill". I don't. After I was proven to be not "skilled" enough to keep my pod safe, I changed my doctrine to work with a much cheaper pod. I know that I will lose it again and mitigated the damage. They didn't - because they have skill and don't need such "cheap" moves. Of course every doctrine has a counter (unless the game is unbalanced). The Catalyst has a very easy counter: the Procurer, the Skiff and the empty-pod 18K+ EHP Retriever. These cannot be profitably defeated by Catalysts, no matter how "skilled" one is. Winners adapt their doctrines when faced with problems. Losers just try harder, believing that with enough practice they can get enough "skill" to overcome. Sure, you can teach your whole fleet how to fly their Rokhs to never be bombed. Or you can just switch to Megas. Guess which option worked on the field. Instead of anti-tears, today I post why I need other people in my corp: because I can't gank it all by myself. And we can agree that this thing (and the 5 similarly fit Macks) must die: I've seen them in Gamis, Delerik if you are interested. While I'm sure this bunch will be slaughtered by someone soon, there must be lot of others! Join and let's kill them all! I think you oversimplify doctrines. Perhaps in TEST they only had simple doctrines. A doctrine is simply a set of pre-fitted ships designed to work well together as a team (oh, and it's not always cheap to lose). The use of the doctrine as well as the individual ships have varying levels of difficulty. Sure there are some ships in doctrines, such as the Megathron in baltecfleet that is simply "1. Jump to Location, 2. Lock Target, 3. F1, 4. Goto step 2". But that's not all ships in the doctrine, and it's not the only doctrine. 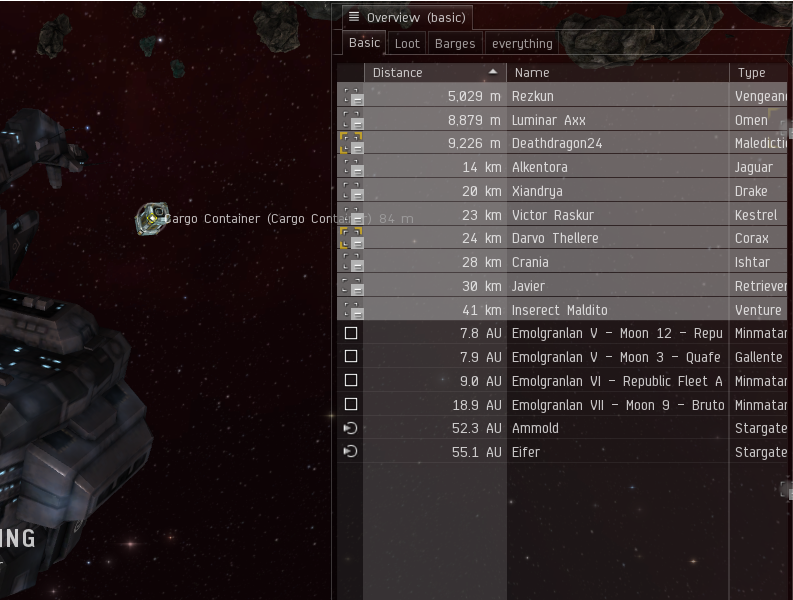 In that fleet there are logistics ships, tackle, mid range high speed dps, etc. Sure, you can boil everything down to Press F1, but then that's simple EVEs combat system. In a 1 on 1 fight, it's practically the same. I push the same buttons on my Megathron as I do on a frigate. I MWD if I need to go faster, I swap scripts if I want more range, I hit F1 if I want my target to die. EVE combat isn't exactly varied. Pretty much the only thing outside of target selection that's needed is for speed tankers, and that's a simple as "go fast at an angle to your enemy". Even the "elite" small gangs have doctrines. You see a vagabond and an interceptor running about together all the time. You think that's by accident? They just happen to like those particular ships? No, it's because they complement each other. You have to get away from this idea that skill and doctrines are mutually exclusive terms. There are plenty of skilled players flying in blobs, and plenty of unskilled players flying solo. And there's no clear way of measuring the level of skill in players. The best PvPer in the game can be caught off guard, and the day 1 noob can get a good kill. You also need to realise that it's not a numerical measurement. The only real measure of skill is others perceptions. Even if your KB reaches 1000 miner kills per day, there's very few people that would call that skill, yet you could literally pop out into low sec and score a couple of good kills, and you'd already be considered better than a ganker. "Doctrine" can be explained as non-human power source. It can be. And I can also explain an automobile as a "non-human teleportation device". What is military doctrine? Wiki: "an established procedure to a complex operation in warfare." Doctrine is not a power source. Doctrine can be powerful, or not, according to whether it is good or bad doctrine, and according to the abilities of the men that are implementing it. Doctrine is never "non-human". Doctrine is invented by men for the use of men; it acts only within men's minds and is implemented by men. Without men, not only is there no doctrine, there is no need for doctrine. This article decidedly lacks an answer to "so what" question. So there are doctrined and they are better than willy-nilly individuals. So there is not much room for skill-based gameplay an Eve (heck, there is no individual action in Eve as complex in execution as Dragon Punch). However, overcoming a material/efficiency disadvantage with skill (be it in chess, MMO PvP, sports against a younger, fitter opponent) does happen, and when it does, it is immensely satisfying. Remind me, what was the 'blue Ulduar' project about, again? The safe winning doctrine, after all, would have been to overgear. @Maxim For once I mostly agree with Gevlon, though I don't agree with the label of doctrine. EVE is very much a game where you can and often will lose even if you execute everything perfectly. A good player will recognize this and adapt what he brings to a fight, while many players will just keep trying to do the same thing better, with no hope of winning. Gevlon is on a mission to get a particular group of people, in this case miners, to recognize this and improve what they bring to the field in the first place. We may disagree on some of the details, but the overall argument is a good one. You may say so what, but there's clearly lots of people who don't fit their ships well at all, and who are being directed to this blog through Gevlon's actions. @Gevlon Despite the above, your ISK efficiency argument still basically boils down to you having more skill than them. Most of their pods should have gotten away, but they didn't because they weren't skilled enough. Your pods mostly escaped because you have quite a bit of experience doing exactly what you're doing. Sometimes they won't, and you recognized that and changed your pod fitting to reflect the added risk, but in general you kill a lot more pods than you would if your victims were better. I also agree with Lucas that the ideas of doctrine and skill are in no way exclusive, but like I said, I also agree with your general premise that a lot of your victims, especially the white knights, feel that they lost simply because you out maneouvered them, when in fact they lost before undocking. @Michael: their pods don't get away because they are mostly AFK. Being an "AFK miner" is a doctrinal choice.